The main two elements of a Sunday morning service are singing and practical teaching of the Bible. We usually sing for 30 minutes or so, and the preaching is typically around 45 minutes. You’ll be on your way home at around noon. A great way for you to get the feel of our worship services is for you to watch one Live; just click here to go to Ustream, where our services are streamed live. 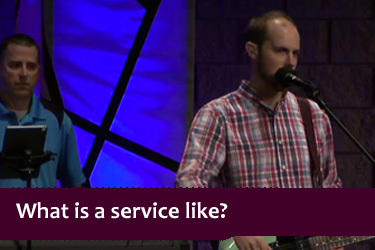 You can also watch previously recorded services.